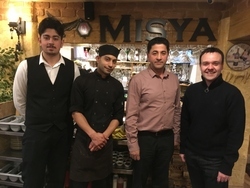 Misya restaurant in Stevenage Old Town will open on Christmas Day from 12noon to 4pm to spread a little Christmas cheer. The family run business wants to give more back to the local community and are offering a free lunch to the homeless, lonely and emergency response staff working on Christmas Day. Isa Demir, owner of Misya restaurant, said “I chatted with my family about how we could do something more this Christmas and they decided they wanted to open the restaurant up to those people who will not be sitting down to a family dinner. We decided that we would provide a free lunch to the homeless, lonely and emergency response staff such as the Police, Ambulance and Fire Service staff to provide a little festive cheer. We will be open 12noon to 4pm for a free meal. 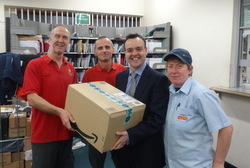 Stephen McPartland MP visited the Stevenage Delivery Office to see first-hand the operation of delivering Christmas post and to pass on Season’s Greetings to its dedicated, hardworking staff. He was shown around the office by Delivery Office Manager, Barry Aldridge, and met many of the postmen and women who are pulling out all the stops to sort and deliver mail in Stevenage over the very busy Christmas period. 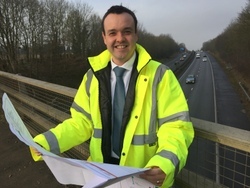 Stephen McPartland MP said, “At no other time is the hard work and dedication of postmen and women clearer than during the festive period. There is a huge amount of effort and dedication that goes into delivering a first class Christmas all over the country. Barry Aldridge, Royal Mail Delivery Office Manager, said, “Our postmen and women are working extremely hard to deliver Christmas parcels, cards, letters and parcels to people in Stevenage. We are grateful that Stephen visited the office to see our operation and to support the team. Earlier this term Stephen McPartland MP was pleased to welcome a visiting teacher from India who works at St Mary's Singla in Darleeling, a school which Aston St Mary's School has had a friendship link with for a number of years. Stephen McPartland MP said, "It is very good to see how the friendship between the schools has developed over the years, with exchange of letters and pictures between the pupils, as well as one of the teachers from Aston St Mary's visiting India. I was very pleased to meet Miss Sudhina and that she hopes to establish a School council when she is returns to her school." Aston St Mary's School has raised funds for their friendship school in India including to help purchase computer equipment. 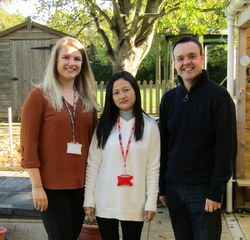 During her visit Miss Sudhina has spent time joining in with the school activities and has been able to pick up new ideas around teaching and pupil interaction to take back and introduce to her school in India. 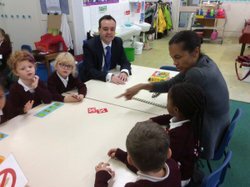 Stephen McPartland, Member of Parliament for Stevenage, visited St Nicholas Primary School, Six Hills Way, for a question and answer session with the pupils. The visit was part of their work learning about democracy and he also met up with the School Councillors. I believe in democracy and whether I win or lose by 1 vote in an election, never mind 1.3 million, then I have to respect that decision. My constituency voted Leave, as did I, and the margin locally was just under 20 percent. In every election it is up to the electorate to judge the merits of the different arguments and over 17.4 million voters decided to leave the EU. Both main political parties also pledged in their manifestos at the General Election 2017 to respect the EU referendum result and these parties received over 80 per cent of the vote. I warned back in February 2016 that "Britain can stand alone outside of Europe, but we will not have the chance. Project Fear will be launched this weekend and if we dare to vote to leave, then we will be told we face mass unemployment, surging interest rates, increasing prices, rapid inflation and increased risk of terrorist attacks." We are now two and a half years on since the referendum was held and the divisions in our country have not been healed. The atmosphere remains toxic. The shouting from both sides has overshadowed our progress with record investments in our NHS, Schools, Housing, Transport and a million more people in work. The UK is the fifth largest economy in the world and last year saw the highest level of foreign direct investment projects into the country in our history. The future of the UK is bright. Forbes has ranked the UK as the best country for business in 2018 and PwC predicts that the country could become the fastest-growing economy in the G7 between now and 2050. Manufacturing orders are also at their strongest since 1988 and unemployment is at its lowest since records began. We live in a stable and liberal democracy, we have a significant role in maintaining international peace and security and we are open to the world for business. I want a free trade deal with Europe, our largest trading partner, but I also want trade deals around the world. The scaremongering about “No Deal” and “crashing out” is irresponsible and damaging consumer confidence at a critical time, when we should be supporting manufacturers and retailers during the vital Christmas trading period. Millions of jobs depend on our High Streets and we cannot have first class public services without a strong economy to pay for them. 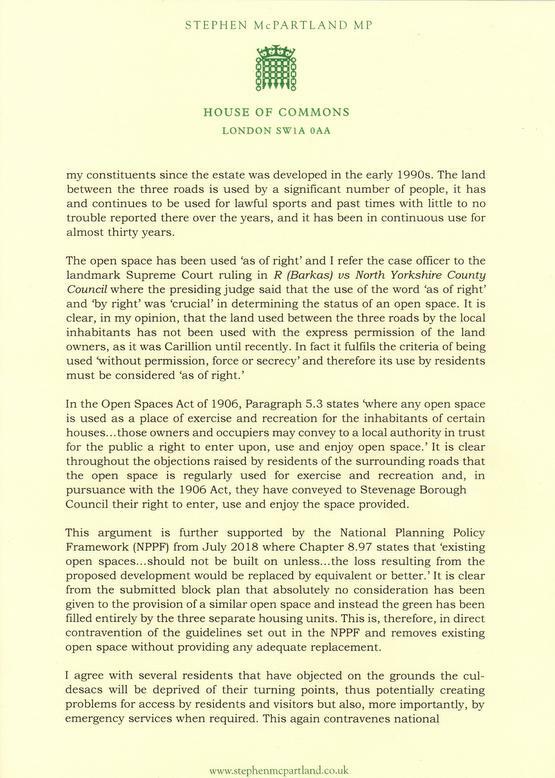 I cannot support the Withdrawal Agreement in its current form. There is much to dislike, but I accept the need for compromise in any negotiation. However, I cannot compromise on an “indefinite backstop” that prevents us from ever leaving the European Union and delivering on the result of the referendum.